When shopping for yourself or others, know the store’s return policy before you buy. 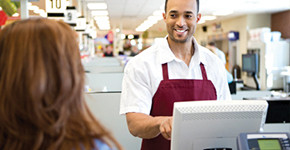 Merchants have a legal and ethical obligation to clearly explain all terms of their return and refund policies. Washington consumers do have refund rights in a few specific cases such as telemarketing and door-to-door sales. But apart from those situations, no law requires sellers to accept items for refund, exchange or credit unless merchandise is defective or misrepresented. Know the retailer’s policy before you buy. Know whether a sale is final or if you or the recipient of your gift can obtain a refund, exchange unwanted merchandise, or receive store credit for a future purchase. Return policies on sale and clearance items may be different than merchandise sold at full price. Keep receipts. When giving a gift, ask for gift receipt and enclose it with the present. Many retailers will only refund the lowest markdown-price at which the item was sold unless you can prove you paid more. Save original packaging and price tags. Some merchants won’t accept returns unless the item is in its original package. Others charge a restocking fee, especially for electronics. Look for return policies when buying online or from catalogs. Merchandise can sometimes be returned to physical stores. If not, you may be charged a shipping fee to return or exchange an item. Also, use a credit card for online and catalog purchases; if you don’t receive the merchandise, you can challenge the charge with your credit card issuer. Be timely. Most merchants only accept returns for a certain period of time. If you miss the deadline, you may no longer be able to get a refund or store credit.